Clare County Library is proud to participate in the Dublin One City One Book Festival 2019 as it celebrates the work of acclaimed Clare-born author Edna O’Brien. 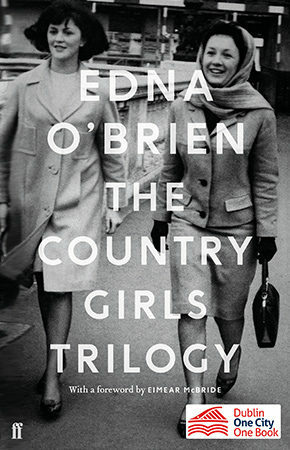 Library book clubs, and the general public, are invited to read The Country Girls Trilogy and then gather together at a special book club event in Scariff Public Library in East Clare, Edna O’Brien country, to share their views on the book. Dr Tina O’Toole will host the event and will give a talk on Edna O’Brien and her work, followed by a Q&A. Dr Tina O’Toole is a senior lecturer in English and programme director of the MA English at the University of Limerick. Dr O’Toole’s books include ‘The Irish New Woman’ (Palgrave Macmillan, 2013); ‘Women Writing War: Ireland 1880-1922’ (UCD Press, 2016; co-edited with Gillian McIntosh & Muireann O’Cinnéide); and ‘Irish Literature: Feminist Perspectives’ (Carysfort Press, 2008; co-edited with Patricia Coughlan).